We would like to take this opportunity to announce the appointment of Mr Kevin Foo as the new Chief Investment Officer (CIO) and welcome him on board. 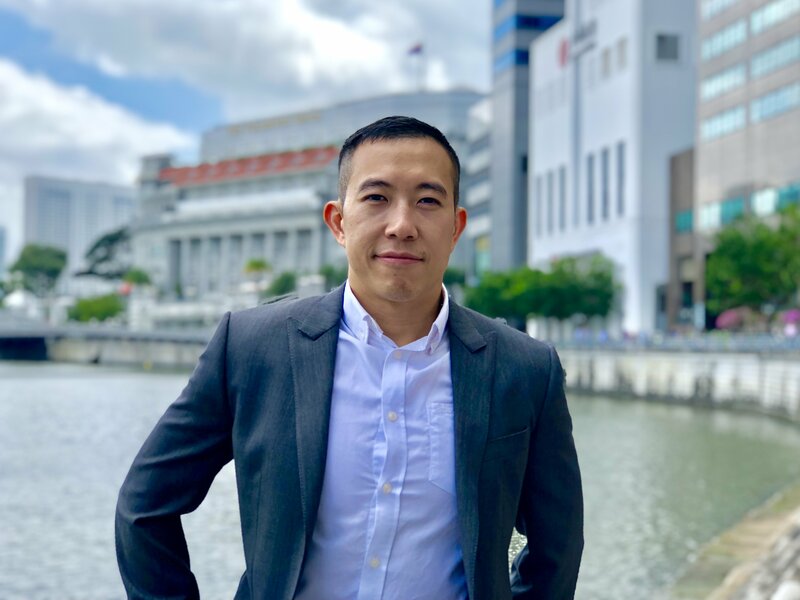 Prior to joining Fund Singapore, Kevin served as Head of Investment of Cap Vista, the strategic investment arm of Defence Science and Technology Agency (DSTA), a statutory board of the Singapore Ministry of Defence. Meet the Brains and Brawn of Fund Singapore. Kevin Foo, our new CIO is the featured member for the month of February. Get to know him, his experiences and what he brings to our organization. 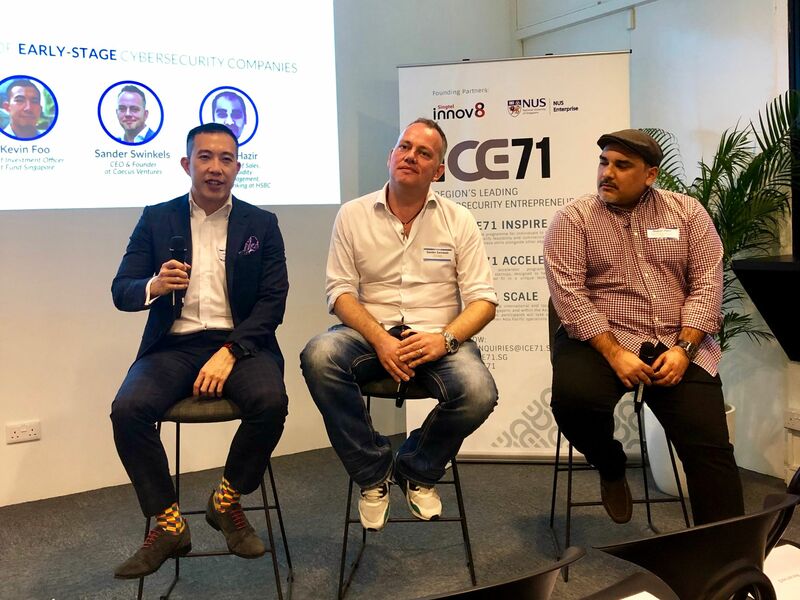 Fund Singapore was invited to the launch party of ICE71's second cohort of startups under its signature cybersecurity ACCELERATE programme. Check out what our CIO, Kevin Foo shared during the panel session! First and foremost, Fund Singapore would like to wish you Happy Lunar New Year! May health, and wealth always come your way. After the successful listing of Biolidics Limited (previously ClearBridge BioMedics) in December 2018 on Singapore's Exchange Catalist Board, our investment team has begun tying down share arrangements with each individual investor. We would like to take this opportunity to again thank our investors for their support and trust into Fund Singapore's vision of providing funding to local businesses. CEO of ManukaLife Pty Ltd, Mr. Paul Callandar was in Singapore for business discussions. He brought along with him the latest additions to their product line - Chocolate Manuka Honey and Matcha Green Tea Manuka Honey. Meet the Brains and Brawn of Fund Singapore. Alec's motivation to join Fund Singapore was kindled after coming to know of Fund Singapore's vision to introduce private equity investment deals to retail investors. Matthias Yeo, our Chief Innovation Officer, mentored at ICE71's second INSPIRE boot camp where 30 participants spent five intensive days learning how to create and run their own cybersecurity start-up. Presenting to a cohort of young minds at Singapore Polytechnic Business School. During the hour-long lecture, our CIO shared more on RegTech and FinTech. Fund Singapore is glad to be part of their success story! Before you unwind for the Holidays, we would like to take this opportunity to thank you for your support in 2018. Because of your continued support, 2018 has been an outstanding year of growth for the Fund Singapore. We wish you a happy Holiday Season and a great New Year’s celebration. To conclude this business year, we would like to give you an End-of-Year Rundown of our activities, events and business developments. Crowdfunding has become a thriving and durable growth industry in Asia. Globally, funds raised via crowdfunding have total over US$9.4B in the first half of 2018 over approximately 8.8M campaigns. Did you know that crowdfunding in Asia – albeit still in its infancy – is poised to catch up quickly at a continued growth rate averaging 30% year-on-year from 2018-2022? Transaction value in APAC alone hit a stunning US$7.6B between 2017 and 2018 – about 85% of global deals. In June 2018, Fund Singapore bided goodbye to our first office space at OCBC Centre and traded it for a new, bigger home at Bank of Singapore Centre. The office was unveiled to our shareholders, partners and clients on 7th June 2018 in conjunction with our 2nd anniversary. Medical technology firm Biolidics Limited, a cancer diagnostic solutions developer formerly known as Clearbridge BioMedics is an investee company onboard the Fund Singapore platform sometime in Q2 this year for funding. The company has recently lodged a preliminary prospectus on 23rd November 2018 for a planned initial public offering (IPO) on the Singapore Exchange’s Catalist Board. More details such as the amount to be raised, and timing of the offering will be announced at a later date. The IPO proceeds will be used to develop the clinical applications and clinical services customer segment for Biolidics’ products, as it has sold them mainly to academic and research institutions so far. Fund Singapore will be working closely with Biolidics Limited to explore other collaborative opportunities in the future such as the offering of their services to our investors. This year, we have expanded into Australia and Japan. In the coming months, we will work hard to bring you access to an increased number of exciting investment opportunities from our offices across the region. Very soon, investors of Fund Singapore will be able to explore investment projects from specialised industries of the respective countries e.g., robotics projects in Japan and agricultural ones in Australia. Fund Singapore participated in this year’s INVEST Fair as a Platinum Sponsor. 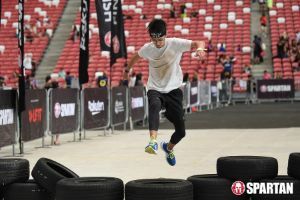 Crowdfunding is still largely a novel financial concept to Singapore hence, our company's goal was to curate a series of activities to introduce and familiarise attendees to it. During the 2-day long exhibition, we invited all our investee companies funded in 2018 to showcase the important work they do alongside us. Moreover, Fund Singapore won the top award for ‘Most Preferred Crowdfunding Platform’ in Singapore by The Business Times and ShareInvestor Awards. Once again, a big thank you to our existing and new investors who got involved either by casting votes or visiting our exhibition booth. What’s makes Fund Singapore Unique? Fund Singapore does not view itself merely as a crowdfunding platform that marries businesses and investors. It holds a bigger vision to create an ecosystem across the Asia Pacific. As it invests in local businesses, it aims to form synergies between the investee companies to obtain better efficiencies, leveraging on each country’s strengths and support to ensure that they have good success and growth. With developments accelerating throughout the region, the management team of Fund Singapore and Fund Asia has been busy throttling them. In the month of October, CEO Lester Chan along with 2 Senior Executives flew to Australia and Japan to meet with government officials, regulators and stakeholders aiding in our expansion into the respective regions. Fund Singapore is in the midst of acquiring our license to operate as a regulated entity in both regions. The company is actively engaging with regulators of the Australian Securities & Investments Commission (ASIC) and Japan Financial Services Agency (FSA). Earlier this year, an MOU was signed with the Peel Development Commission (PDC) to invest into and develop a 1000ha agri-tech industrial business park in the Peel region of Western Australia. On the Japan frontier, CEO Mr Lester Chan is elated to unveil Fund Japan’s new office space located at Marunouchi Trust Tower in downtown Tokyo. He is accompanied by Mr Kobayashi, Head of Compliance. The Fund Japan Team expects to be a regulated entity by 1H 2019. Fund Japan will be the 3rd regulated subsidiary of Fund Asia. Fund Singapore, Australia and Japan now collectively fall under the ambit of Fund Asia, the parent company responsible for directing and managing its operations cohesively across the Asia-Pacific region. For an overview on Fund Asia, please refer to www.fundasiagroup.com/. Locally, Fund Singapore has successfully organized a slew of investment knowledge seminars. The objective of these sessions is to inform and educate individuals on crowdfunding as an alternative form of investment and to keep investors abreast of FinTech developments. The seminars are opened to our esteemed investors. You may keep a lookout for upcoming events and RSVP your attendance directly to www.fundasiagroup.com/events. 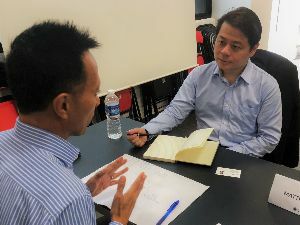 As the Platinum Sponsor of this year’s instalment of INVEST Fair, the month of August was spent perfecting preparations for Singapore's largest investment fair which took place on the weekend of 25th and 26th August. 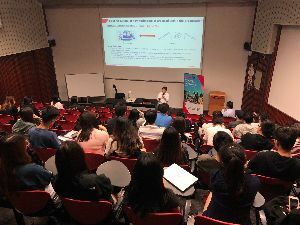 As crowdfunding is largely still a novel financial concept to Singapore, Fund Singapore sought to curate a series of activities to introduce and familiarise attendees with its intricate mechanisms. In addition, we were able to get them acquainted with Fund Singapore’s unique way of crowdfunding which sets us apart from others. June was a month of several achievements for the team at Fund Singapore. We bid goodbye to our first office at OCBC Centre and traded it for a new, bigger home at Bank of Singapore Centre. We spent several weekends getting down and dirty with the renovation of our office and needless to say, are excited and proud of our new headquarters. The office was unveiled to our shareholders, partners and clients on 7th June 2018 in conjunction with our 2nd anniversary. The growing team reflects Fund Singapore’s fired commitment to improving service quality and capacity to our clients. We stay steadfast to our belief that no good company or startup should be allowed to fail due to the lack of funding. I’m also thrilled to announce Matthias Yeo joining us as Chief Innovation Offer. Matthias joins Fund Singapore following 4 years at Symantec Corporation where he was the Chief Technology Officer (CTO) for APAC. During his tenure with Symantec, he played a leading role in driving the organization’s solution strategy and technology vision throughout Asia Pacific. The timing of his joining us could not have been more perfect given that we have expanded across Asia Pacific. We hope to leverage on Matthias’ formidable cross-disciplinary expertise amassed after 20 years in the tech industry. Moving forward, Matthias will be responsible for spearheading the development of our innovation arm that is crucial in facilitating our expansion deeper into APAC. Fund Singapore is working on building a unified technology platform using artificial intelligence and blockchain that will seamlessly connect its entities’ operations in Asia. WHAT'S NEXT FOR FUND SINGAPORE? We recently launched a revamped version of our website that is even more secured than before. Upon logging in, investors can participate in any one of our active campaigns using eNets, DBS iBanking Bill Payment or by topping up the eWallet associated with their account. Whether you are an institutional, accredited or retail investor, you may continue investing with ease and in confidence knowing that our team takes pride in exceeding both expectations and standards set by the MAS. The month of April sees Fund Singapore taking the next big step towards setting up a regional office in Japan, our second overseas base after Australia. Talks began mid-2017 when Fund Singapore was invited to set up a subsidiary in Tokyo by the Tokyo Metropolitan Government (TMG). After nearly a year of planning and discussions, Fund Singapore took our first working trip to Japan, with connections now established across 4 major cities in the Kanto and Kansai region. Throughout the trip, we were honoured to have the Japan External Trade Organization (JETRO) and representatives from Enterprise SG accompany us for some of these meetings. Kanto region, with its availability of advanced manufacturing and technology facilities is an attractive place for Fund Singapore. Whilst in the Kanto region, Fund Singapore had the privilege to meet up with the Directors from TMG and Senior Officials from the Kanagawa Prefectural Government. Fund Singapore also look forward to obtaining our financial license with The Financial Services Agency (FSA) in 2018, and setting up our first Japan office in Marunouchi, the financial district of Tokyo in the coming weeks. In the Kansai region, discussions were held with the Osaka Innovation Hub (established by Osaka City Government), as well as the Osaka International Business Promotion Centre. With great support from the officials, Fund Singapore is potentially setting up our second Japan regional office in Osaka. While Osaka is well known as an innovation hub, Kyoto is strongly reputed as the business centre of Kansai region, where many business activities and SMEs are established along with on-going researches. In Kyoto, Managing Director of JETRO Kyoto joined Fund Singapore in our meeting with the City of Kyoto – Industry and Tourism Bureau, where we were introduced to Kyoto Makers Garage, an accelerator with a strong understanding of the startup eco-system in Kyoto. Building on our belief that no good company or startup should be allowed to fail due to the lack of funding, Fund Singapore took the opportunity of this trip to also get connected to the several leading banks, incubators and universities in Japan. The University of Tokyo, Tokyo Institute of Technology, Mitsubishi UFJ Capital, Resona Bank, FinoLab just to name a few. Fund Singapore shared our strategy & roadmap, where we received enthusiasm in promising partnerships for investment and funding of these research and advanced technologies made available by the Universities. Fund Singapore (FS) is working closely with the Peel Development Commission (PDC) and Murdoch University to potentially invest and develop a 290ha agri-tech industrial business park in the Peel region. This business park is envisioned to be the “food bowl” of Asia whose demand for food has been increasing over the past years significantly. Discussions with PDC started in early October 2017 when PDC, along with Murdoch Singapore, met up with Economic Development Board Singapore (EDB) to outline the potential of the Peel Business Park. The Western Australia government’s vision is to maximise the value of the business park and its surrounding regions, with a land expansion target of 1,000 ha. Till date, the government has committed more than AUD 49 million in funding to facilitate and support the infrastructure of the business park, showcasing many state-of-the-art features and technologies. From back (L to R): Jin Hao Low (FS Chief Credit Officer), Janine Hatch (PDC Principal Officer), Andrew Ward (PDC CEO), Charlie Clarke (Murdoch School of Law).Front: Professor Lyn Karstadt (Murdoch University Deputy Vice Chancellor International ), Paddi Creevey (PDC Chair), Robyn Clarke MLA (Member for Murray-Wellington), Lester Chan (FS CEO), Dr Christopher Vas (Murdoch SCRIPT Deputy Dean & Director). As a potential key stakeholder in the Peel Business Park, FS has plans to use ManukaLife, a company FS already invested in, as its showpiece to Asia. This is still in the concept development phase and talks are still in progress. ManukaLife is one of the pioneers in the agri-tech business in Australia and is leading the change in the industry with its R&D breakthroughs and successes. With a potential to incorporate food traceability, bio-secure environment, downstream high value processing, and manufacturing, ManukaLife is an ideal reflection of the Peel Business Park vision. During the meeting with LandCorp Western Australia, FS proposed the potential concept of using ManukaLife as the “poster boy” of the business park. LandCorp subsequently engaged Mackay Design (who was involved in the new Perth Stadium) to design the case model of ManukaLife in the business park. Below is an artist impression from the concept master plan dated Jan 2018. To access campaign details, click here! Fund Singapore (FS) COMPLETED the funding of Singapore’s first retail equity campaign, and was achieved in a short span of time. Altogether, FS raised an amount of S$2,400,000 in 2 tranches of S$1,200,000 each, solely from QUALIFIED INVESTORS. The campaign involved raising funds for 20% shareholdings in ManukaLife Pty Ltd (ManukaLife), a company incorporated in Western Australia (WA). 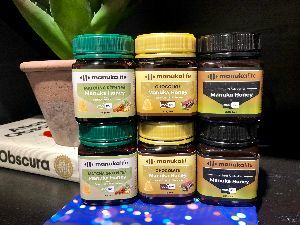 Manukalife has invested heavily in research and development to produce medical grade manuka honey from tea trees (also known as Leptospermum plants). Medical grade manuka honey is highly sought after by pharmaceutical and cosmetic firms all around the world due to its well-known healing and medicinal properties. This endeavor has gained much limelight and traction since its infancy, garnering great support from expert plant breeders from Kings Park, the National Park in Perth WA as well as researchers from top academic institutions like University of Sunshine Coast and the University of Western Australia. In addition, the WA federal government and the state government are also strongly supportive and have provided ManukaLife with grants, and in providing potential access to agricultural land. Completing the funding campaign was no easy feat. The team conducted a total of 12 presentations to qualified investors from all walks of life, introducing them to the concept of crowdfunding and the potential of equity investments, traditionally available only to the accredited and institutional investors. Chief Executive Officer, Mr. Lester Chan, mentioned that crowdfunding is revolutionizing the financial services industry by bringing great investment opportunities to any qualified investors. Indeed, Fund Singapore is revolutionizing the financial services industry. Fund Singapore works closely with many universities to source for exciting investment opportunities across the Asia Pacific.